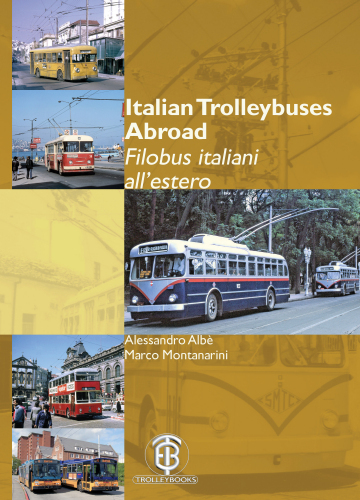 Filling 258 pages, in Italian and English, this encyclopedic volume covers the fascinating story of the many Italian trolleybuses exported to the world between 1939 and 2008. Detailing the technological innovation, the systems involved and the competitive, even political pressures, this book mirrors the later history of many trolleybus nations, but tells a very special, inventive and stylish tale, specific to Italy. 360 images show just how unique that contribution was to trolleybus history; and over 20 maps show where the trolleybuses operated. Total weight: 1440g. Shipping: Generally within 5 days. Buying online with Paypal includes paying by credit card.